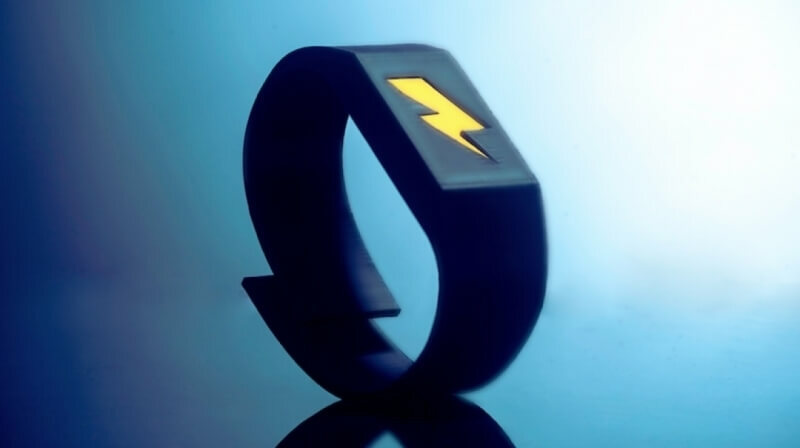 Most of us are guilty of spending more than we should every now and again, but would you be willing to wear a wristband that sends a 255-volt electric shock into your body should you spend more than a pre-set limit? British company Intelligent Environments believes many people are so worried about the dangers of overspending that they would prefer having the wearable shock them than risk going into debt. The firm’s Interact IoT system, which is said to be the world’s first ever Internet of Things banking platform, uses a couple of unique methods to reign in bad spending habits. The first of these involves the Pavlov band. Named after the famed physiologist known for his work in classical conditioning, the device already helps wearers stop smoking, eating bad food, biting nails, sleeping in, and more. By shocking a user whenever they indulge in their habit, they’re conditioned to have a negative association with it and therefore, hopefully, quit. Intelligent Environments system lets customers set a spending limit on their bank accounts and credit cards. When they approach that limit, a notification arrives on their phone and the Pavlov will vibrate, but should they continue to spend and exceed the limit, they’ll feel the full wrath of the band’s electric fury. The IoT platform has another, less invasive way of helping people get control of their finances by connecting to other smart devices, such as Google’s Nest Thermostat. As with the Pavlov, if a customer breaches their self-imposed spending limit, the thermostat will be turned down to a user-defined temperature – as a way of saving money across the year, rather than trying to freeze them as a punishment. Intelligent Environments said it “anticipates many discussions with banks and credit card companies to bring the Interact IoT platform to their customers in the near future.” The company has previously worked with a number of large financial institutions in the UK, and is responsible for the “world’s first” smartwatch banking app.